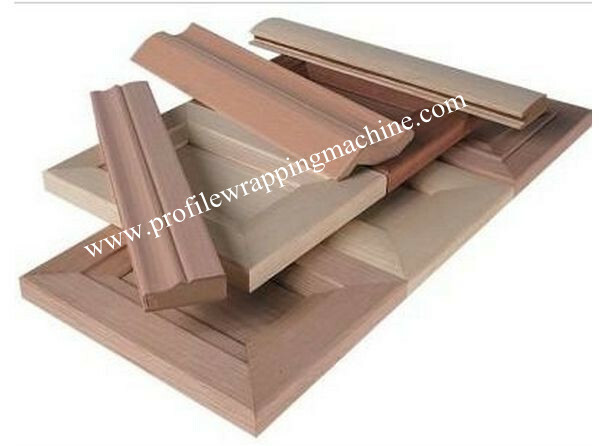 The Range of Processing of Profile wrapping machine. For fix-sized wooden veneer or roll wooden veneer ,PVC decoration film ,oil resin soaked paper and so on . The machine can be used to wrap wooden panel of various shapes .dense panel,plastic and aluminum materials.the wrapping of surface ,sides and bottom are accomplished in a single process. 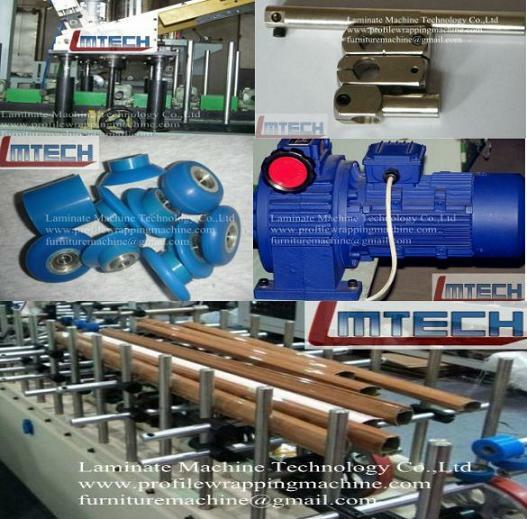 The Range of Application of profile wrapping machinery . Kick board .set lines of door and window .railing of stairs .top scripts .door frame .panel for protecting the wall,wall lines ,waist lines ,mirror frames ,painting frame lines .drawer bottoms ,composite door sets ,aluminum or steel door ,and windows ,PVC porous material .wood-like material ,floor ,and so on .